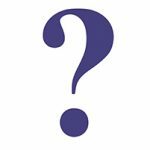 Answers: What’s Your ISO 13485 IQ? The answers are revealed, and they may surprise you. Last week we posted the ISO 13485 IQ Test for our readers to assess their basic knowledge of the standard. Below are the results. Do they surprise you? Stay tuned for Part II, which will be posted within the next couple of weeks! Didn’t take the test? Click here to test your ISO 13485 IQ. It is the basis for the Health Canada CMDCAS program. – ANSWER. 63% answered correctly. (T/F) ISO 13485:2016 Requires ISO 14971. – FALSE. 48% answered correctly. 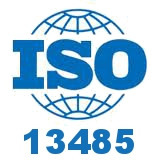 (T/F) The latest Version of ISO 13485 was published in 2016. – TRUE. Congrats–93% knew this one. (T/F) Certification to ISO 13485 requires a preliminary assessment and a registration assessment. – TRUE. 67% answered correctly. All of the above – ANSWER. 78% answered correctly. What's Your ISO 13485 IQ? In Part I of our ISO 13485 test, see how much you know about the basics of the standards. A summary of the new and revised changes in ISO 13485, the second Draft International Standard (DIS2), which is planned for release this fall. ISO 13485:2016 - What Are the Changes About?